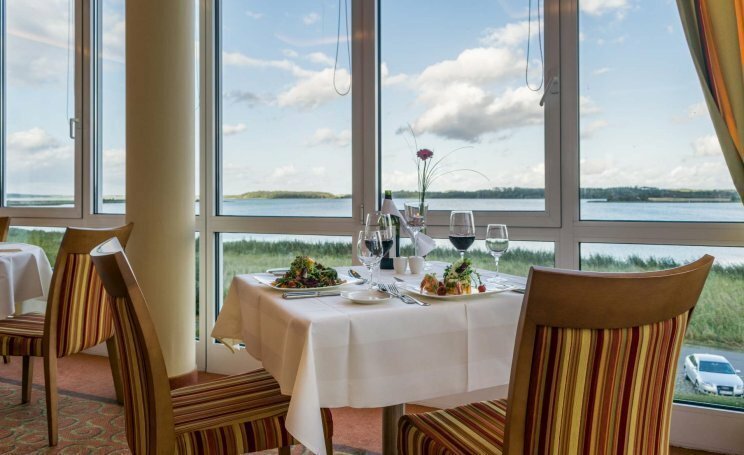 The Panorama Restaurant, open all year round in the main building of the Balmer See Hotel Resort, offers our guests a fine selection of culinary delicacies from morning to evening. This is where our hotel guests start their morning breakfast buffet. 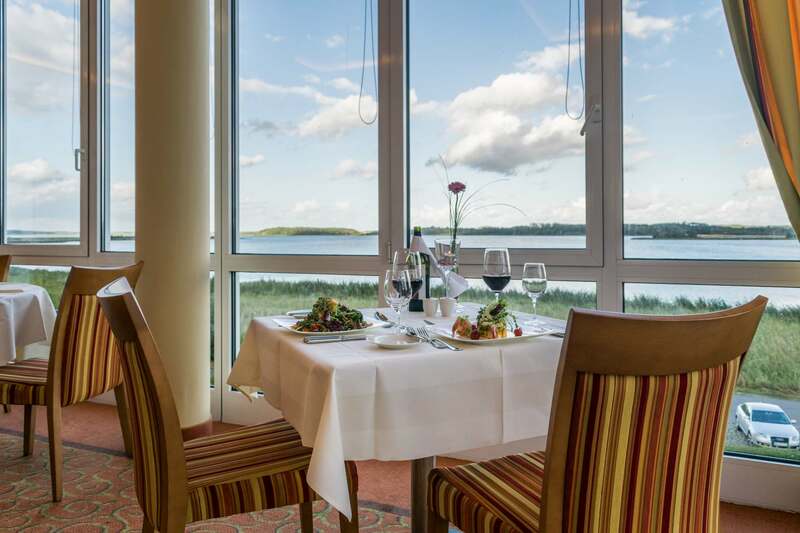 After the excursions or your round of golf In the evening, our kitchen crew will serve you fine dinner menus or even upscale hotel cuisine à la carte, and you'll be spoiled with a sensational view of Lake Balmer! A perfect vacation day starts with a well-balanced breakfast, and the breakfast buffet on Lake Balmer leaves nothing to be desired. There is a wide selection of pastries, cold meats, egg dishes and specialty coffees, all of which allow you to make your own fresh fruit and vegetable juice. And don't miss the local speciality the sea buckthorn juice. For your morning reading, you can expect the daily newspaper as well as our Balmer See despatch with up-to-date information and stories about our holiday resort. 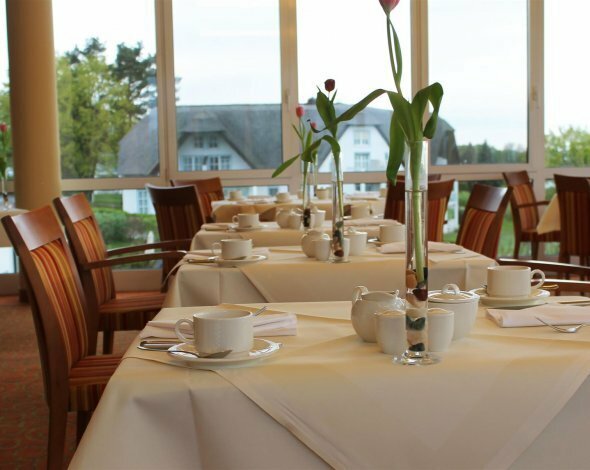 We serve our breakfast buffet every morning from 07.00 - 11.00. In our panoramic restaurant and on the sun terrace, we offer you both coffee and cake, as well as hearty dishes from our lunch and tea time menu from 12:00 to 5:00 pm. 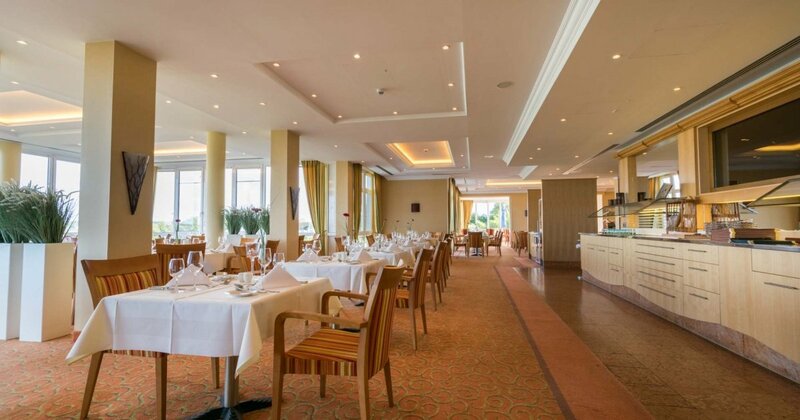 Whether you returm from your round of golf or a trip on the island of Usedom, in our selection you will find sweet and savory snacks, so that you stay energized. Whether a la carte or set menu: Every evening our kitchen serves you a composition of culinary delicacies. In doing so, our chef is very careful about the quality and origin of the food offered. The daily changing menu offers you always a choice of main courses with fish, meat and a vegetarian variant. And our friendly service team will advise you in choosing your wine or other beverages to match your menu. 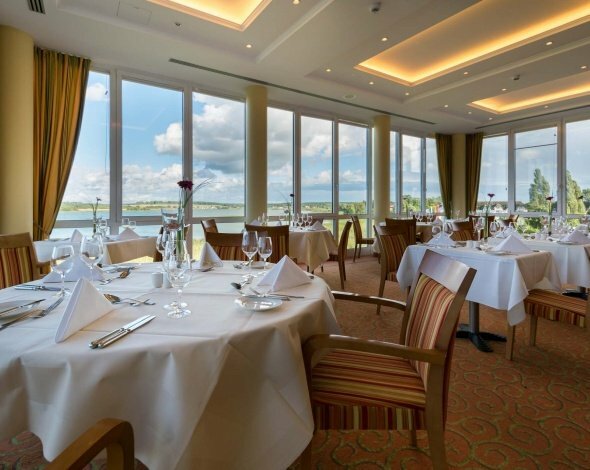 The view of Lake Balmer and the view of our Schwalbenhotel make a visit to the Panorama Restaurant in the evening a highlight of your stay. Your table reservations are accepted by our local service team. Your telephone reservations can be made between 07:00 am and 6:00 pm daily on 038379 - 28 180. 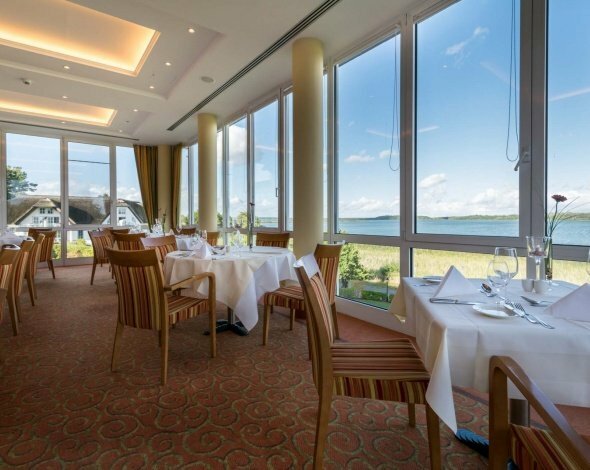 With the calendar below you can book your table online in our Panorama Restaurant as early as three months in advance.